For three years, I have done a lot of web site application and most of them are corporate sites. So I thought of sharing some of the things I have learned from my work. 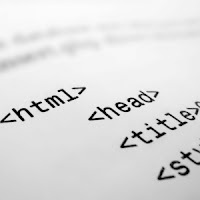 Let's start by differentiating the term web designer and web developer. It should be clear that this two jobs are related to each other but not similar. Web designer usually handles the front-end of the site. They are the ones who are concerned with the user interface (UI) of the website, basically they are the artistic people who knows the tricks and techniques of CSS and scripting that they can use on the browser wars. On the other hand, web developers are the ones assigned to the back end of the site and doing the logic behind. They are the ones who used their brain cells on making the site work and as well as protect sites from invaders (technically called spams and other bots that tries to harm the site). Basically this defines the first impression a visitor sees everytime they see your site. It is a rule of thumb that they should know all the information about your site without scrolling down. The upper part should always explain or at least give a brief description on what to expect on your site. Avoid too large banners that almost occupy half of the screen. Put all menu and navigation on the upper part of the site and make sure it is visible enough for the users to see. Place all non-important things below or on other pages. Do not place them on the top unless you want it to be seen intentionally. This applies to all your scripts and styles. It is advisable to use external files instead of placing them inside your HTML (or whatever you are using) to customize your site. Why? Usually this is used to boost the speed of the sites. External scripts are saved on cache and so the next time you visit the said site it would be faster than the first time. Now what if you're using blogger for your site host, well you can use other third party services to generate external scripts that you can call anytime. Portable Network Graphics or PNG are the most common image type being used on web sites. It is because the said type supports transparency and is more convenient to use because it is smaller than using Graphic Interchange Format or GIF. See this report on how to properly use it. Another problem is that flash, which is commonly on SWF format, have issues on web designing. These files always comes to the top part of your site (foreground). So even if you use your z-index property knowledge, it won't go on the background of your other items. To resolve this you can always use the wmode property of flash files when you are trying to embed them. Most of the time, this is the issue I'm getting. People are always telling me that the fonts are too small or too big. Actually there are no rules on using font-size. The issue arises depending on the audience you are trying to target. Usually you can use larger fonts for older people, on the other hand, I usually use 12 to 14 px for corporate sites. Font-styles are also important to consider. Make sure that they are READABLE. Don't use Monotype Corsiva or Wingdings. Most of the time Arial, Times New Roman or Calibri are used for sites, others are just too much for sites and are not advisable. Courier are used for source codes and typewritten type of letters, leave it to those kind of blocks and never use them on your site. Know how to use bold and italic letters, avoid using them regularly and never (as in never) use them as a default font for your site. During this case, noscript tags can be helpful. It is a stupid fact that everyone should know. I actually have a client before that wants her files to be protected in a way that no one can download it.. well for me it is stupidity! Make sure that the content is always above the unnecessary scripts. The reason why the visitors visit is because they want to see the content of your site. By placing the scripts below, users will be able to see your contents even if the page is still loading. Sites are like a product selling himself or a person attending a party. They need to look good depending on the occassion. Make sure that the colors blend together, unless you're selling "colors" on your site. Usually, 1-3 colors are enough for corporate sites. For kiddy sites, pastel colors work well. Again, choose your colors right! It's now the era of Web 2.0, interaction is a must! Visitors needs to interact to your site. Leave reading to books and encyclopedia. Viewers need to be somehow entertained while they are viewing your site. Add things that they can click like social sharing or social bookmarking buttons. If you can't add something like that, at least add some moving objects like animations. Anything that would catch attention so that users can continue reading. I'm glad that you find it useful, thanks! Thanks... I already re-post it! wow...aj banda, another top 10 post. Would you mind if I re-post it to my blog? minsan napaisip din ako nung binasa ko yung post mo. I currently studying jQuery and found out that there is a downside in using this scripting like what you mention. I'm really disappointed because I can't apply my PL skills in designing my blog. Nice post! nyayks! gnyan din ako.nauubusan ng freetime kaya wlang focus.hahahha. Actually, na-experience ko rin yan dati sir Jehz. May nagbigay lang sa akin ng script yun nilagay ko sa header part ng blog ko then, ayos na. Madalas blog header image ang apektado. Thanks AJ, I love web designing but I am not really good with CSS and Jquery thing. I want to engage with blog template designing and as of now I begin collecting some cool buttons, scripts, images and useful templates.lol. I only have banged up with programming during my college days but when I started working I just have to look up the codes to test and evaluate them. I am not doing web designing and programming anymore as my work also deal with quality assurance and usability standards. Anyway, this post is such a personalized and full with realistic tips. Thanks for sharing AJ. Absorbed!